Mid-Atlantic Window Tinting has been serving the Delaware Valley for the past 25 years. As the leading residential and commercial window film installation company in the area we are dedicated to quality and customer satisfaction. All of our work is owner supervised and we do not use any subcontractor or have any employees with less than 8 years of experience. Including 2 employees with over 15 years of dedicated experience. All employees go through annual manufactures update certification and are all well versed in the latest installation procedures. All of Mid-Atlantics window films come with a residential lifetime warranty against lifting, peeling or bubbling as well can be cleaned with common glass cleaners such as Windex and Glass Plus. 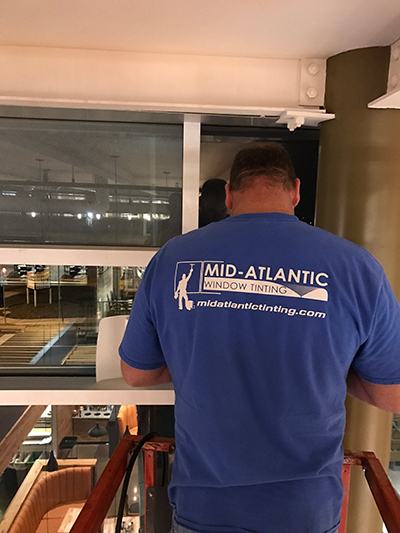 Mid-Atlantic Window Tinting, Inc is fully insured and has all necessary State registrations and certificates for all size residential, commercial and government work.